Tom Grady resides in Holden, MA with his wife and two children. 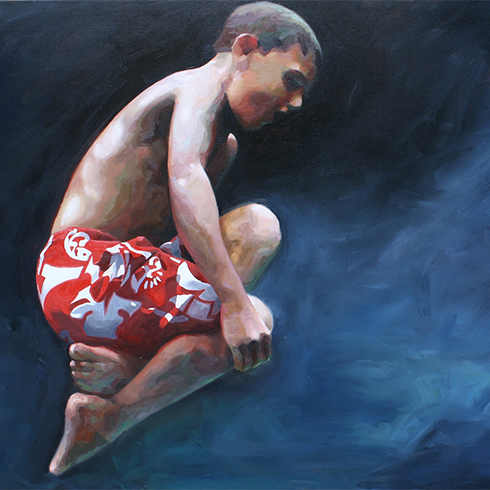 He specializes in oil portraits and large-scale figurative painting. His award winning paintings and drawings have exhibited in various galleries throughout the New England region. This includes the Fitchburg Art Museum, the Copley Society of Art, Carroll and Sons Gallery, and Arts Worcester. He has also completed large-scale outdoor murals in both Worcester and Providence. Since 2007, Grady has been teaching drawing, painting and illustration at Assumption College. He began teaching studio art classes at the Worcester Art Museum in 2002. His education includes a BFA in Illustration from the Rhode Island School of Design and a MFA in Visual Arts from The Art Institute of Boston at Lesley University. His work can also be viewed on the web at tomgradystudio.com.